This beautiful and spacious home on a premium villa lot, offers amazing value for the first home buyer or the astute investor. This Turnkey Package of The Byron by Bella Qld Properties at Mirvacâ€™s Everleigh Estate at Greenbank, is the perfect start for the first home buyer with a young family. 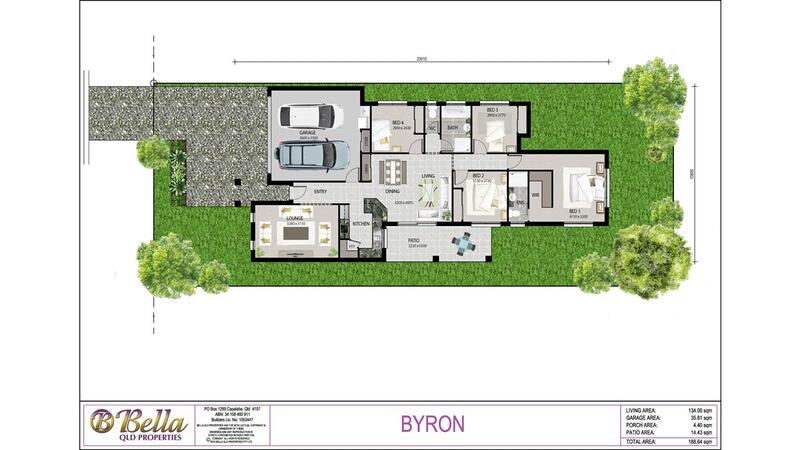 An ideal design offering 4 bedrooms, 2 bathrooms, 2 living areas, 2 car garage, spacious open plan design, flowing to a large outdoor area, which is perfect for that Sunday barbeque and lots of yard space for the kids to play.